If you’re a breakfast fan this one’s for you! 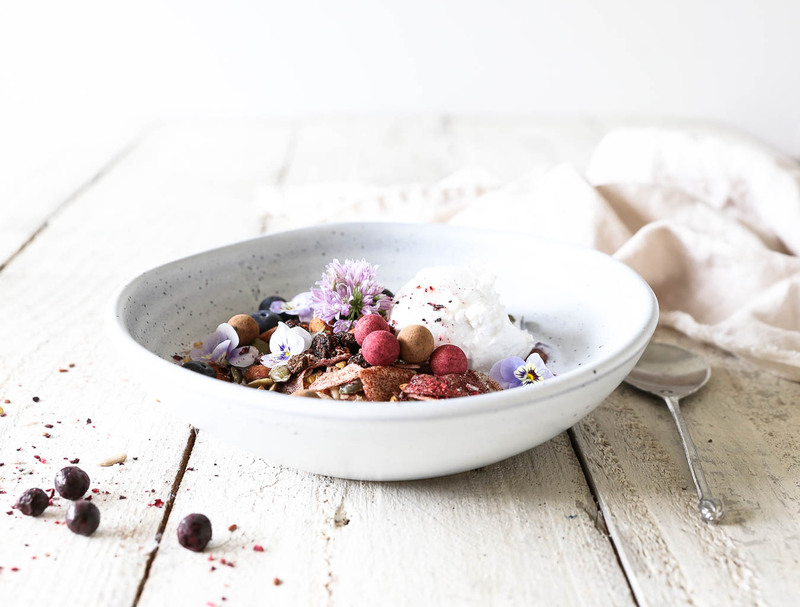 In my quest to find the perfect breakfast cereal, I created this raw activated blackcurrant and coconut buckwheat granola, and I can’t wait for you to try it! 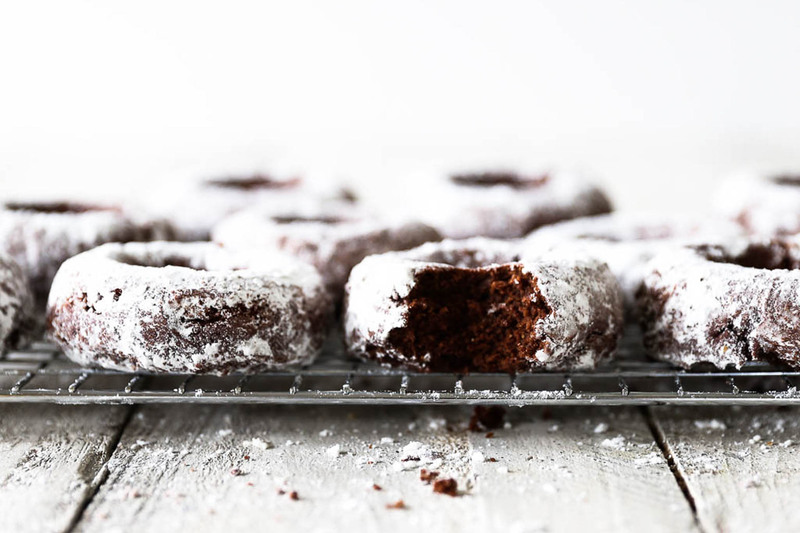 The blackcurrant powder is a true revelation in this recipe, but more about that later. If you follow Swoon Food on social media you’ll know I love my breakfast plates. I’m always looking out for new and interesting flavours and combinations to keep it fresh for myself, and hopefully give you guys lots of inspiration too! My plate usually begins with some from of nut or seed base, be it granola or basil/chia seeds. From there I’ll add coconut yoghurt and/or milk, seasonal fruit and often a sprinkle of whatever pretty super food powder I’m loving that day. Because I eat dairy, gluten and mostly sugar free, it’s not always easy to find a ready made granola that fits the bill. There are a few about but it’s always nice to mix things up, so I started making my own granolas a few years back. My granola recipe has evolved over time alongside my food preferences. You may remember my series of oat based granolas such as banana maple, pumpkin pie and festive Christmas. 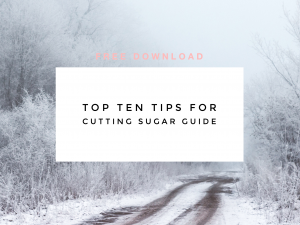 These were followed by a grain free Maple and Cinnamon Buckwheat Granola and then a completely paleo and sugar free version which is exclusive to The 10 Day Sugar Cleanse program. 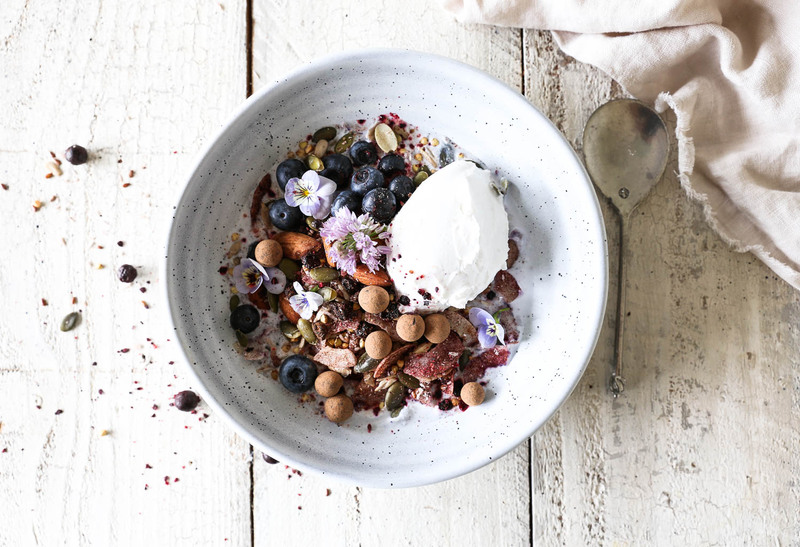 This new blackcurrant and coconut buckwheat granola recipe also happens to be dairy, grain and almost sugar free. It has a base of soaked, activated buckwheat. Despite it’s name, buckwheat is actually a gluten free seed. It’s also a source of protein and has a mild flavour which lends itself nicely to a breakfast cereal. The reason for soaking and activating is two fold. Buckwheat has a mucilaginous substance on it’s surface which can irritate the digestion. Soaking removes this substance and also activates the inherent enzymes in the buckwheat groat which aid the digestive process. After soaking, the buckwheat needs to be dried in order to make a granola. This has to be done at a temperature low enough so as not to kill the enzymes we’ve just activated. 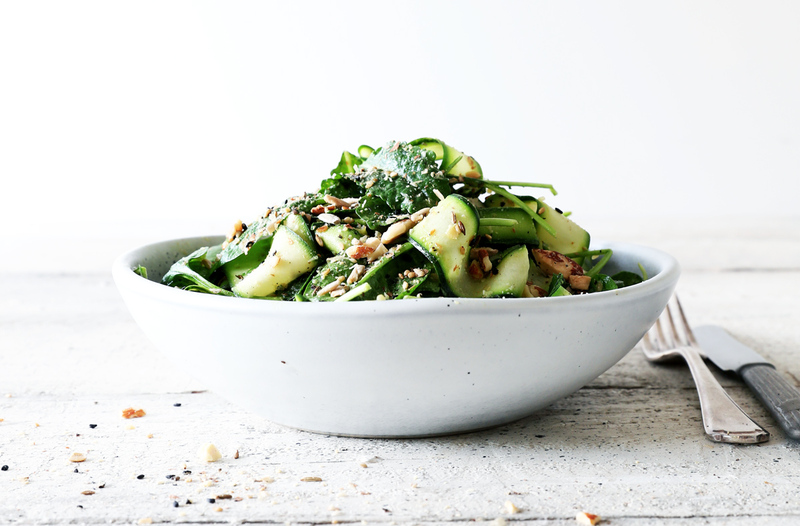 This granola recipe also contains almonds, sunflower and pumpkin seeds which are also activated and dehydrated in order to remove the inhibitor substances from their skins and activate the inherent enzymes within them. This makes them easier to digest and the nutrients in them more readily available. If this is sounding all too much for you at this point, you can either skip this part or lightly toast them instead. Heat also deactivates the inhibitor substances on their skins, but the down side is it also kills the enzymes inside. 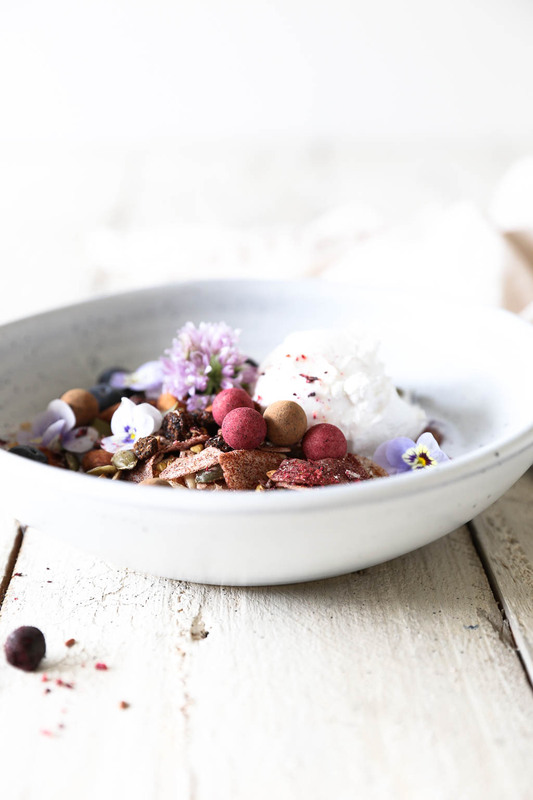 Cinnamon, coconut and blackcurrants are the flavourings in this granola. Blackcurrants are an amazing source of antioxidants, and I read that NZ blackcurrants contain even more antioxidants than açai! So I’ve used soft dried and powdered blackcurrant which means when you add milk or yoghurt to this granola you get a pretty violet colour. Coconut, of course, has many benefits too. It’s an amazing source of lauric acid which has anti-bacterial, anti-fungal, anti-viral and anti-inflammatory properties. 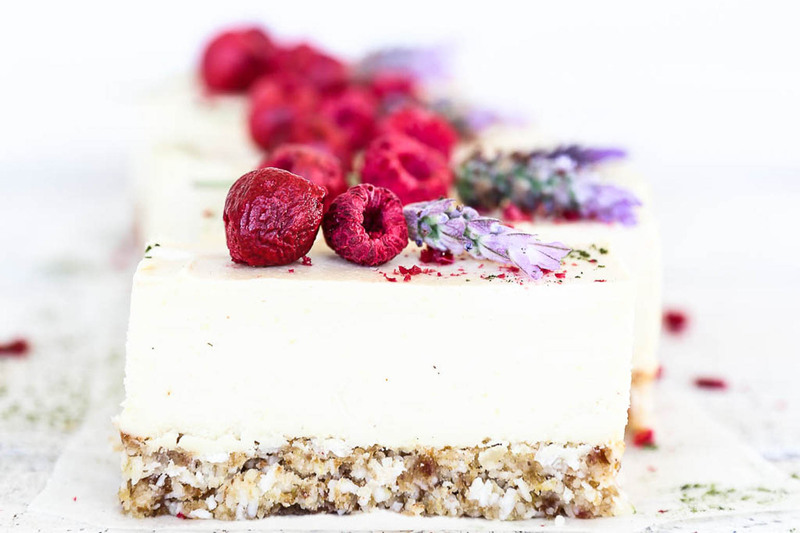 Cinnamon is a beautiful spice which has powerful antioxidant and anti-inflammatory properties and imparts a lovely sweet flavour alongside the coconut and blackcurrants. 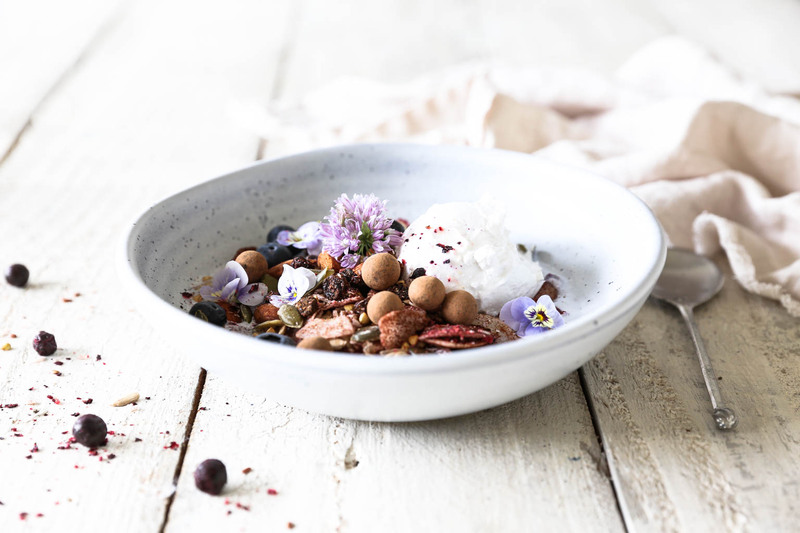 If you want to get a bit fancy, serve your granola with coconut yoghurt, an extra sprinkle of freeze dried blackcurrants and, for special occasions, a couple of ViBERi chocolate balls! 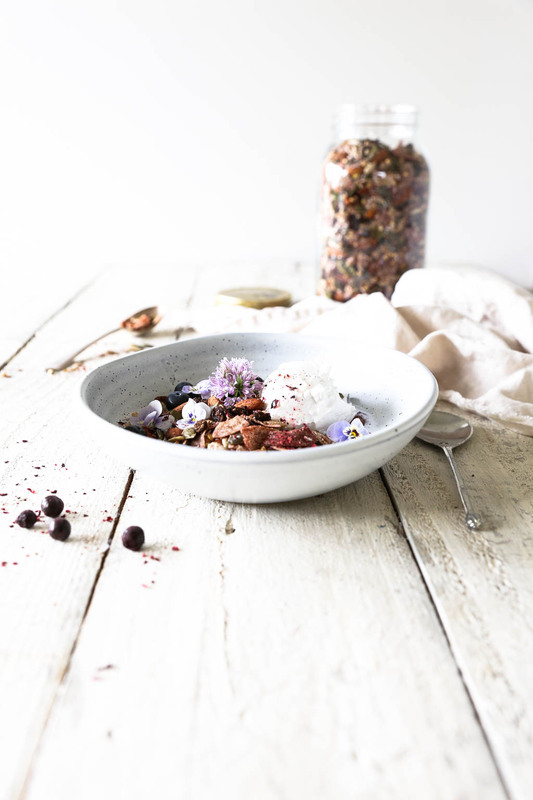 I hope you love this blackcurrant and coconut buckwheat granola recipe as much as I do, and be sure to let me know if you make it. Enjoy! Now I’d love to hear from you! What’s your favourite breakfast? If the idea of activating all the nuts and seeds sounds too much, simply do the buckwheat to ensure it’s easy to digest. Alternatively, you can also buy dried activated nuts and seeds from Little Bird Organics in NZ. To soak the buckwheat place it in a bowl and cover with water. Leave at room temperature for 2 to 4 hours, then drain and wash well to remove the mucilaginous substance released. Place the almonds in a bowl, cover with water and leave to stand at room temperature for 10 to 12 hours. Do the same with the sunflower and pumpkin seeds, but soak 4 to 6 hours. When the nuts and seeds have finished soaking drain off the water and rinse thoroughly. If you don’t use them straight away they can be stored in the fridge in a sealed container for up to 3 days. To dehydrate the buckwheat, nuts and seeds in an oven, spread them onto separate lined oven trays and place into the oven at the lowest fan bake setting (should be around 50ºC). Prop the door slightly ajar using the handle of a wooden spoon or similar, this allows air flow and should keep the temperature below 46ºC. The buckwheat will take between 6 to 8 hours and the nuts and seeds between 8 to 24 hours to dehydrate, depending on your oven. Check them often to ensure they’re not getting cooked! Alternatively, if you have a dehydrator set it at 41ºC and place the nuts and seeds on the trays to dehydrate for 36 to 48 hours depending on humidity. When all the nuts and seeds are fully dehydrated (i.e. they’re dry all the way through and crunchy), place them in a large mixing bowl and combine with the remaining ingredients. Transfer the granola to a large, well sealed jar and store at room temperature. This granola will keep for several months. Note: when you get the hang of activating and dehydrating it becomes very simple. Feel free to adapt this base recipe using any other nuts, seeds or spices to your liking.